The city of Vaughan’s Municipal Energy Plan, as part of the energy conservation and demand management plan, outlines and promotes sustainable resource use through all means of energy conservation, for the betterment of your community and a greener Canada. The MEP works to foster community awareness of local clean and renewable energy programs and the many ways in which you as a home or business owner can effectively lower your carbon footprint. One of the many ways you can start is through the installation of a new, Energy-Star rated HVAC system for your home. DeMarco Mechanical offers a wide range of Energy-Stars rated heating and air conditioning systems and heater and air conditioner service for the benefit of our customers. Our technicians can match your home and business to the perfect system based on your usage and energy needs, eliminating unnecessary waste and overall reducing energy consumption through the installation of a cleaner, more efficient system. Better Monthly Costs: Our skilled technicians work with customers to find the best heating and air conditioning systems for the job, based on your space and energy needs. We work with you to minimize energy consumption and overall lower your monthly usage, which translated directly into lower monthly costs for your home and business. With our help, you can significantly lower your monthly energy bills, and pay for your new heating or cooling system many times over throughout its lifespan. With a skilled workforce and years of experience, our company is your best bet for HVAC system installation, repairs, and maintenance. We aim to provide you with the highest standards of customer service, tailored to your individual needs. With our selection of excellent products, we can guarantee 100% customer satisfaction with every single job we do. We are passionate about what we do, which is why we stand behind every repair, installation or replacement we do, and offer continuous support beyond the job for your benefit. Vaughan – Wide Service: We serve all of Vaughan as well as the rest of the Greater Toronto Area. Our far reach and wide service area allow us to provide our customers with superior HVAC products throughout the entirety of Southern Ontario. DeMarco Mechanical is one of the top names in general repairs, system installations and replacements, air conditioners, heaters, ventilation and air purification systems. Our teams are dedicated and licensed, with a wealth of knowledge about HVAC services at your disposal. As a result, we are able to offer our customers a comprehensive selection of the newest systems and best brands in the business. We are licensed, trained and dedicated, offering the highest standard of professional mechanical services for all your HVAC, heating and cooling needs. DeMarco Mechanical is happy to take on both commercial and residential jobs, offering the highest standards in ac service and repair, furnace repair and emergency contracting. In order to create lasting relationships with our customers, we offer a follow-up service and complete system warranties. Similarly, we offer multi-equipment discounts, service contracts, and highly competitive rates. Visit our website today for more information about our company and what our customers say about us. Please contact us for more information, or visit our website. 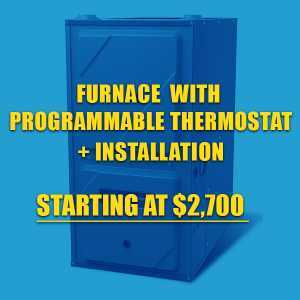 For a free estimate, or to request a visit, please give us a call (416) 820-9155 or send us an email at: adrian@demarcomechanical.ca. We are always happy to assist you in any way we can. 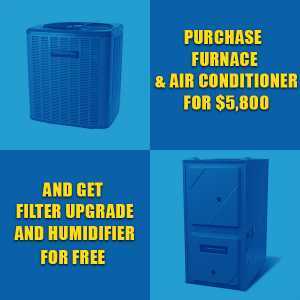 Call the best HVAC contractors Vaughan today!